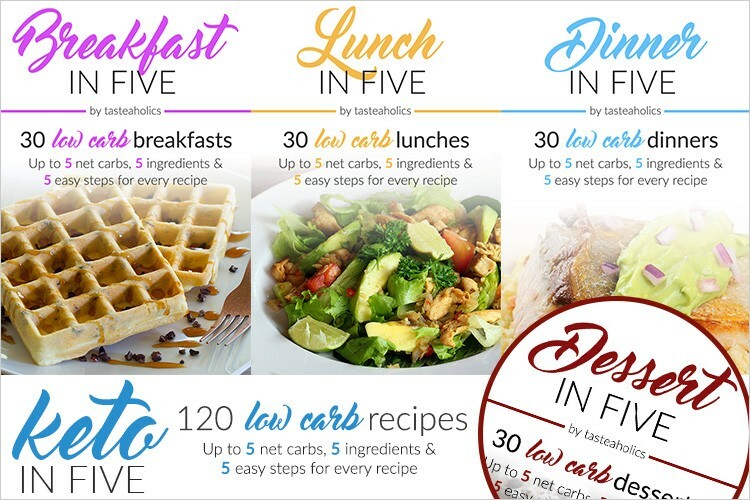 It’s been a minute since I did a weekly favorite Low Carb Recipe Roundup. I’ve been too busy, but I do miss doing them. It’s fun to see which recipes were the most popular on the Low Carb Zen facebook page. All together, millions of low carbers across the globe clicked, pinned and made these very recipes in their very own kitchens. How cool is that?! Bacon Wrapped Cheese and Mushroom Stuffed Chicken Breast – nothing fancy required to make this! A few ingredients, skillet and baking pan and you’re in business! Low Carb Avocado Chicken Salad – Wouldn’t this look lovely in a pretty serving dish? Low Carb Fried Pickles – Instead of using foil to line your baking sheet for this one, it would be an excellent time to use silicone baking mats if you’ve got some. Mine get regular use. Baked Parmesan Mushrooms – You don’t need the cast iron skillet to make these, but it is a lovely way to present them, don’t you think? Low Carb Chicken and Zucchini Poppers – I think I would like to try shaping these in my mini-muffin pan to get a uniform size. ‘Cause Lord knows I wouldn’t manage it any other way! Low Carb Chicken Enchilada Zucchini Boats – This recipe gets it’s zing from chipotle chile in adobo sauce. I love chipotle. Low Carb Twiced Baked Fauxtatoes – I like cooking my caulimash twice. It gets a little more moisture out and is more potato-y. This recipe is another one that calls for Parchment Paper. Have you tried any of these low carb recipe roundup recipes? Your thoughts? Note: Pizza recipe is un-linked because the page is no longer online. Sorry!